Most people love the idea of being able to walk from their home to their favourite restaurants, coffee shops and pubs. But being able to do this often comes at a great cost. You either have to pay a fortune or concede living space and buy a condo apartment. In Central you will find there are options in-between. The Sound of Music Festival, Ribfest, The Festival of Lights, strolls down the beach, winter skating, and spectacular views of the sunrise over Lake Ontario. This is THE destination spot in Burlington, year-round. Free wifi, a little coffee shop, a large space for the kids to play and lots of books. That’s it. Your morning: figured out! You know those professionally made cappuccinos that are like a work of art? Almost too pretty to drink? The coffee is so good at Tamp that you will take a photo, post it on Instagram, and sip. You know how you love the idea of going on a family bike ride? But then you remember that you’re not supposed to use the sidewalk, and you don’t love the idea of riding right next to traffic? Well, Burlington has a better option, a safe bike path that spans the width of the city. 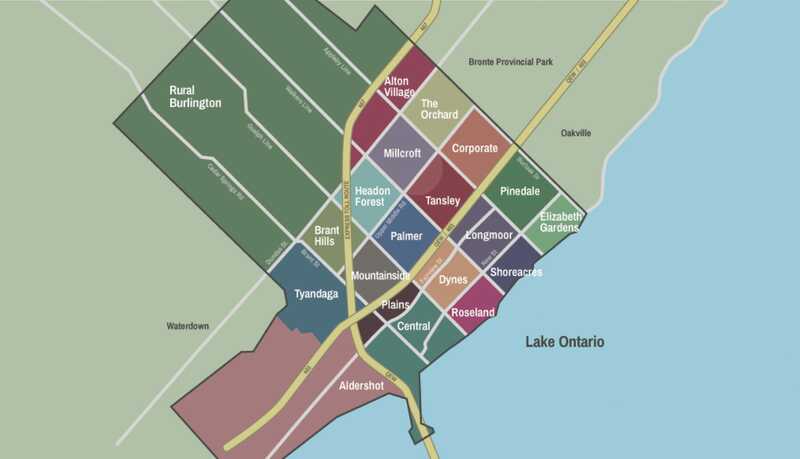 How much does it cost to live in Central (Downtown Burlington)? Your typical neighbours are families of varying stages or retired empty-nesters. Driving to Toronto from Central takes approximately 40 minutes. However, during rush hour the time you spend in the car could increase to approximately 1 hour 15 minutes. Using the Burlington GO Station is a huge benefit to local residents and gives commuters a consistent travel time to Union Station of 53 minutes. Central is also situated close to the QEW. 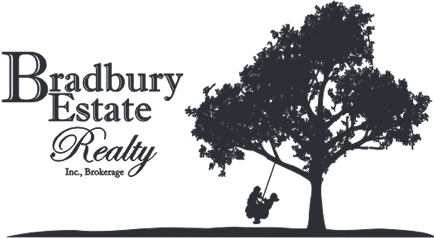 Is Central Burlington Perfect For You? Most people love the idea of being able to walk from their home to their favourite restaurants, coffee shops and pubs. But being able to do this often comes at a great cost. You either have to pay a fortune or concede living space and buy a condo apartment. In Central you will find there are options in-between. Bungalows, and charming 1 and a half storey properties (with those cool sloped ceiling bedrooms) abound. These homes can often be purchased beneath the city average for a detached home. You will probably have to do some work, or live with a green bathtub, but you will be in your own home, and you will still be cool. If you are considering giving up your Toronto life, you are probably worrying that life in suburbia means minivans and Walmart. Well you may end up buying a minivan, if it makes sense, and sometimes not having to take the kids out of the car six times is worth subjecting yourself to the fluorescent glow of the big box store, but if you live in Central (downtown Burlington), you don’t have to do any of this. You can walk home from the Burlington GO Station, grab a hot meal from Goodness Me on the way, and then take a stroll down to the waterfront for some evening exercise and relaxation. You can walk home from the Burlington GO Station, grab a hot meal from Goodness Me on the way, and then take a stroll down to the waterfront for some evening exercise and relaxation. Speaking of the waterfront, Lake Ontario is the shining centerpiece of Central (downtown) Burlington. Spencer Smith Park sits at the base of Brant street and occupies 6.37 acres of prime waterfront space. This is the hub of the city and where you will find families and couples flocking every weekend and evening throughout the year. As you walk along the wide promenade, or have a seat on the break wall overlooking the lake you will discover how special this area is, and how lucky residents of Burlington are to have such a feature. Kids love this park in the summer for its unique and varied playground equipment and splashpad, and in the winter they come to use the rink outside Spencer’s Restaurant and look at the spectacular Festival of Lights put on by the city every year. Adults also enjoy events hosted in this park such as “The Sound of Music Festival” and “Ribfest”, just to name a couple.